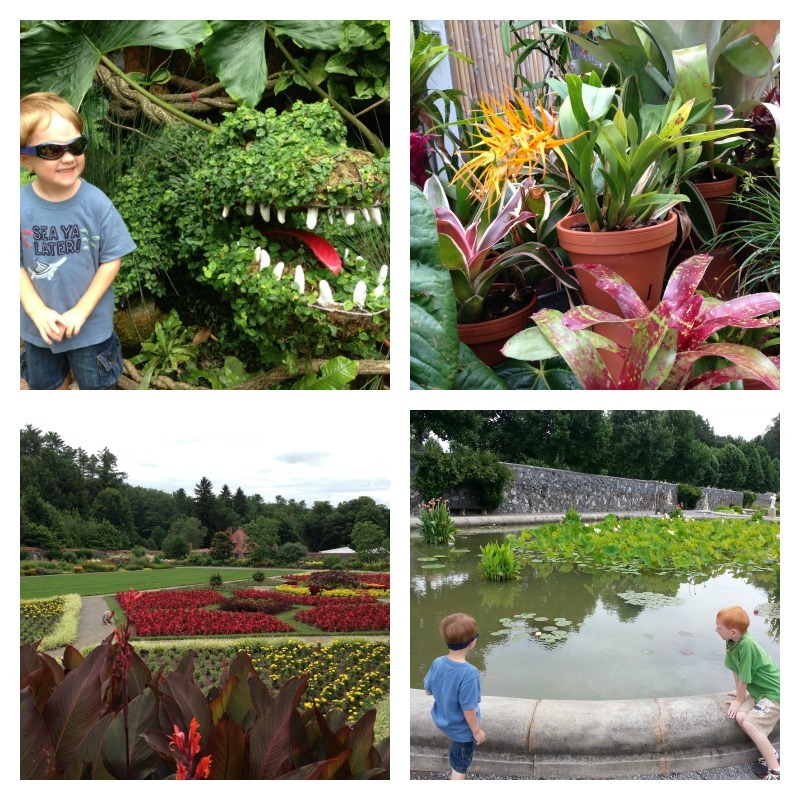 The Biltmore Estate is a place to see! 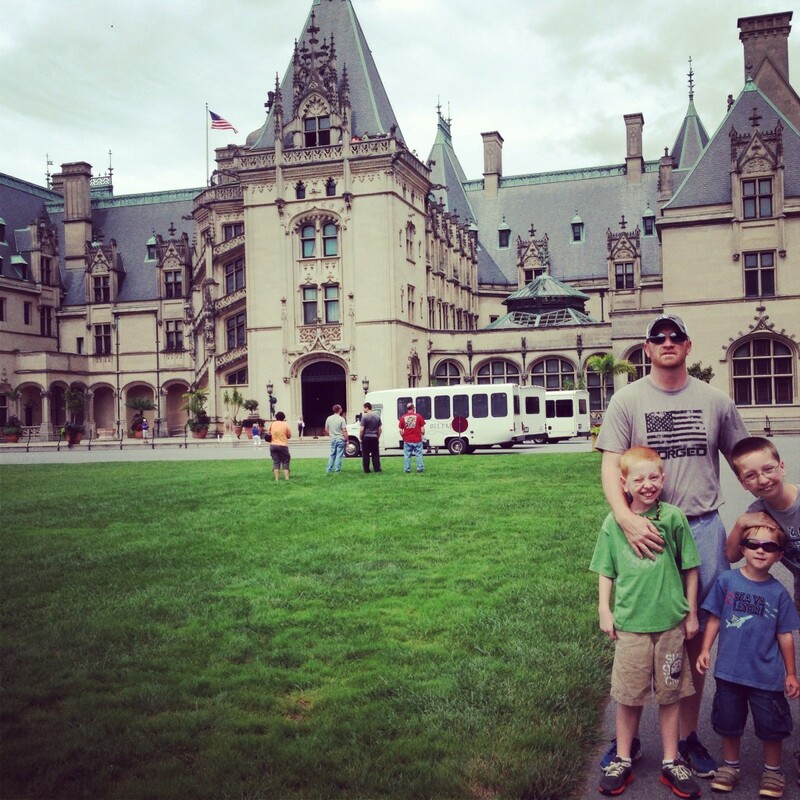 Yesterday I shared why we loved Asheville before we even spent much time there. Today, I’m going to share with you Asheville’s biggest attraction and what 1 million visitors a year come to see. The Biltmore Estate ~ America’s largest home. Built in 1895 by George Vanderbilt as a country escape home for family and friends. It boasts 250 rooms on 8,000 acres full of gardens, stables, a winery, and so much more. Plan to spend the whole day! From the minute we pulled through the front gates of the estate and drove the 2 miles to the parking lot and boarded the bus which took us another half a mile or so in, our mouths were open and we were ooohhing and ahhhing. Land, Beauty, Lushness! I couldn’t wait for my tour! Cameras are not permitted inside so I have nothing to show you, but that is good. I want it all to be a surprise as you take the 2+ hours to walk through this exquisite mansion. Dining room, Breakfast room, Bedrooms, Library, Kitchen, and many rooms us normal folk wouldn’t even think about, were all seen and heard from our self-guided audio tour. Each room we stopped and listened to the history and little tidbits about the Vanderbilt’s wonderful life. We stepped outside our last room and into a courtyard that used to be the stables. Today it is turned into food and shops, but you can just feel the history as you walk through. Next it was time to explore the Italian Garden, Rose Garden, Walled Garden (this is just a few of them! ), Conservatory (spelendid! ), and nearly 22-round trip miles of hiking trails. Are you tired yet? There is no time to be because you still have to visit Antler Hill Village & Winery. Here in the Village, we ate lunch at a fab-ulous restaurant called Cedric’s Tavern. 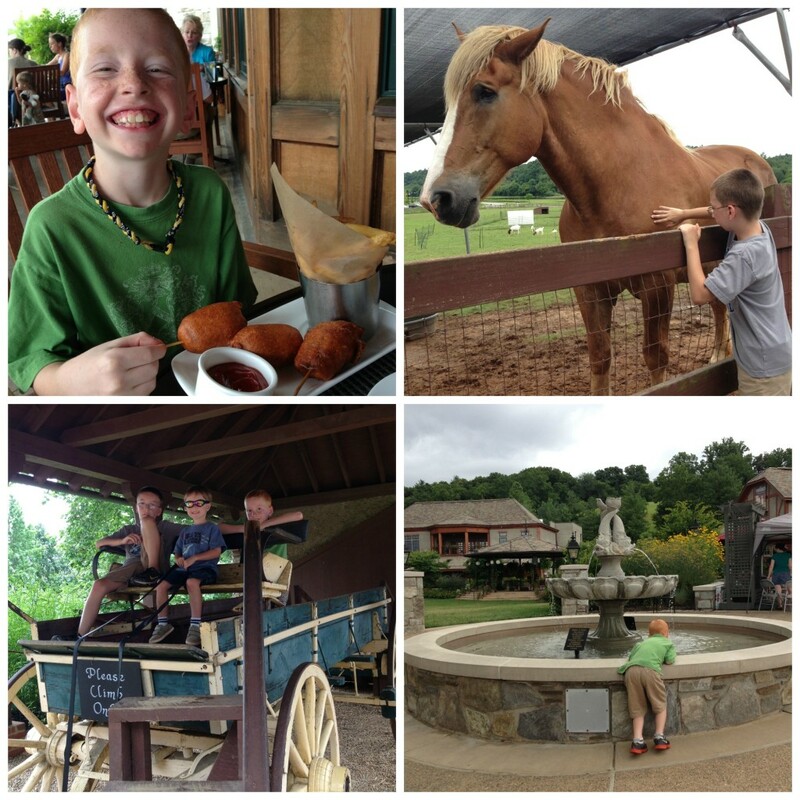 Kids nibbled on hand-battered corn dogs, freshly made cheese curds, and homemade pickles. Hubby couldn’t resist trying out the Bison Burger! It was all SO yum! Then we walked through the winery where there was a huge-taste testing bar at the end. We also played at the playground, stroked the animals at the farm, climbed at the playground, walked through the maze, and listened to live music being played on the green. Phew! It was quite a day and one that I hope my kids don’t forget. We highly recommend visiting the Biltmore Estate as you travel through the Blue Ridge Mountains. You’ll be glad you did! Visit my Asheville post too! All Kids are FREE all summer long! Kids 9 and under FREE all the time! 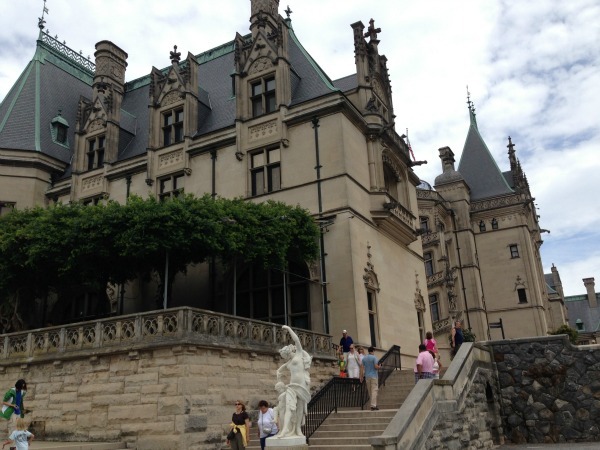 Have you been to the Biltmore before? Thank you to the Biltmore for providing our tickets. All opinions are my own. We visited on our honeymoon, gorgeous!! Yes, I LOVE Biltmore! I've been many times and especially love the gardens!